Although the history of the hatchet dates back to over a million years ago, the tool really hit its stride in the Bronze Age (c. 3000-500 BC) as a multifunctional weapon, symbol of power, and ceremonial object. Not much has changed since then, except its legend being enhanced by the classic Gary Paulsen novel, of course. The hatchet's purposeful design and usefulness is something any outdoorsman will swear by, and that's exactly why if you're going to purchase one, it should be a Gränsfors Bruks. In the late 19th century, large-scale logging operations commenced in Sweden, and demand for axes exploded (can't cut down a tree without an axe!). With a lack of forges in northern Sweden, where the majority of the lumberjacking was happening, the Pettersson family saw a golden opportunity, and opened a new forge specializing in axes and hatchets in Gränsfors. 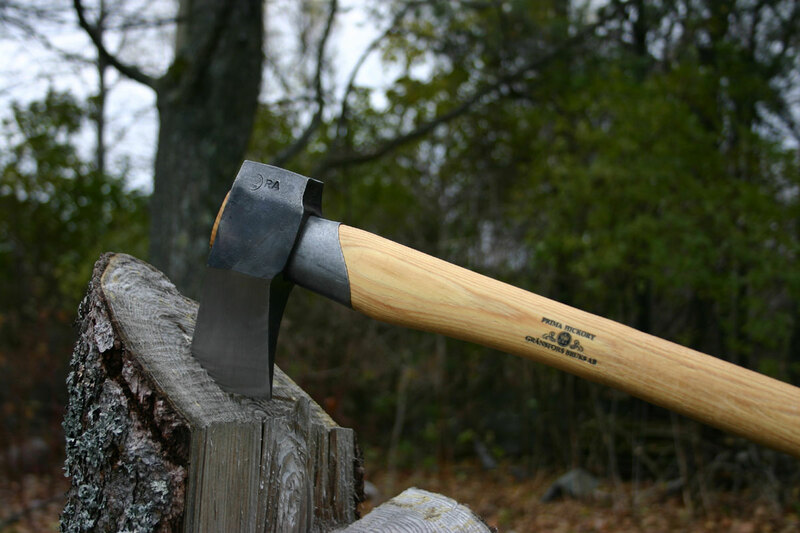 While you may not need to chop any heavy-duty lumber, a Gränsfors Bruks hatchet is a tool that every outdoorsman worth his walnuts needs for splitting wood, skinning animals (if you are into that kind of thing), and the obvious bear protection. Their prices vary based on size, but you can expect to pick up a smaller hatchet at around $120, while bigger models (especially double-edged versions) can fetch upwards of $250. Simply put, these are the best in the business. And with more than a century of perfecting their hatchet game, Gränsfors Bruks knows exactly how to make a multipurpose tool that will last your entire lifetime. As long as you give it a lil' love along the way (minor upkeep and maintenance after each use), this will be the only hatchet you'll ever need to buy.